Apogee FX Rack a premium DSP-Native plugin platform, with Apgoee’s DualPath Monitoring technology will be previewed at Winter NAMM. 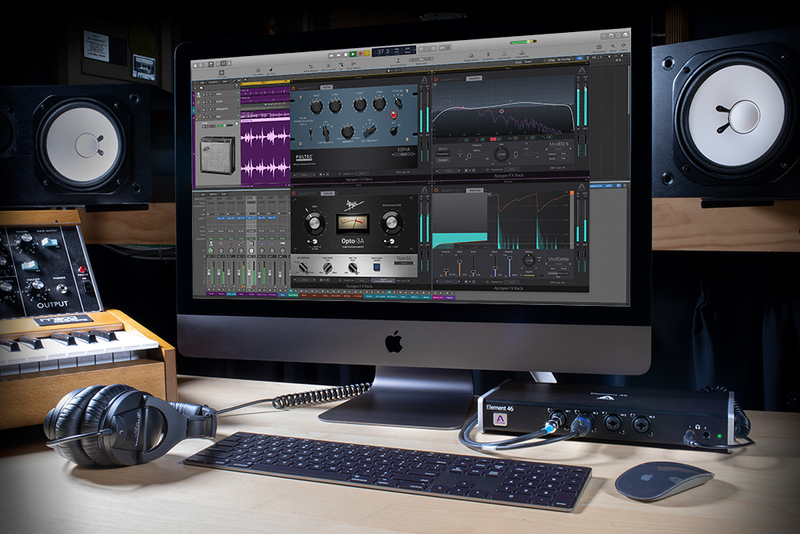 DualPath Monitoring© is a unique direct monitoring feature for Ensemble Thunderbolt and Element Series audio interfaces that lets you eliminate recording latency and maximize plugin processing power in any DAW on your Mac®. 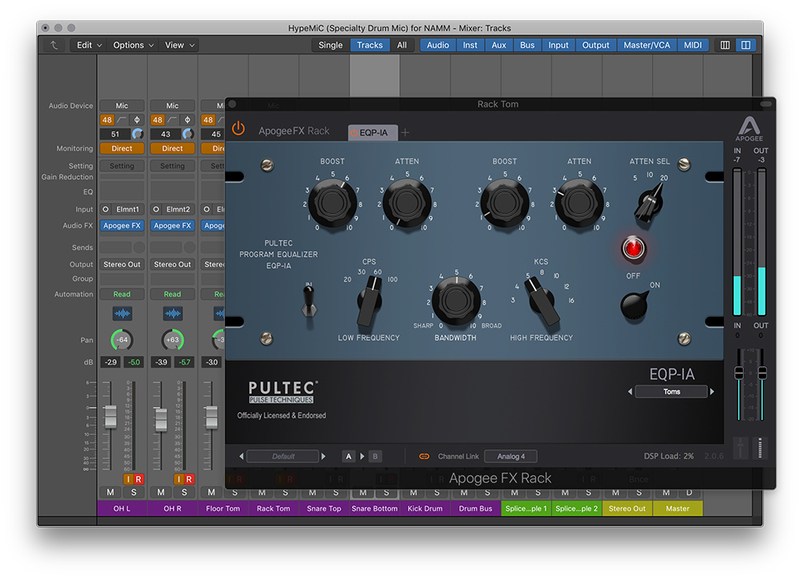 Price: The Apogee FX Rack Pultec Series EQP-1A and MEQ-5 plugins are available as a bundled download for $199.99 (USD) from Apogee’s online store and authorized Apogee dealers worldwide. With the availability in March 2019, of Apogee FX Rack DSP-Native plugins with DualPath Monitoring©, Apogee customers with Ensemble Thunderbolt and Element Series audio interfaces will enjoy a music creation experience unsurpassed in simplicity, latency performance and sound quality. For Logic Pro X users, DualPath Monitoring unlocks the full potential of the ongoing Apogee – Logic Pro® X integration initiative, making simple and innovative workflows accessible with the click of a button on your Mac®.